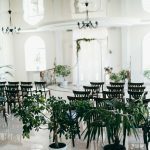 One of the most common questions we get asked as photographers and videographers is “How many hours of coverage do I need for my wedding day?” Since most photographers and videographers package their deals based on the number of hours they will be working, this is a natural question for brides and grooms to have. While we know the wedding budget certainly comes into play, our goal is to help you maximize your photography and videography services, not necessarily to cut corners. The biggest determining factor when deciding how many hours your need comes down to what is most important to you. Some people want the time spent getting ready captured, while others focus more on the ceremony or reception. What photos, videos, and memories do you consider necessary? Do you value photography more than videography? Or maybe you want your videographer to stay later to capture speeches and dancing but don’t really need professional photos of that. After deciding what is important to you, then you can structure your wedding day timeline to fit your desires. If you are able to, give yourself a little extra cushion so you don’t miss any key moments or have any regrets. On the other end of the spectrum, a lot of people overestimate the amount of hours they need, ourselves included. We get it – you don’t want to miss a moment. For example, people think they need the whole getting ready time captured, hair curlers and all. In reality, that last hour of getting ready is really the key to get the details and hair and make-up touch-ups. Another example is the reception. Chance are that you probably do not need all of the dancing. After the formal program ends, have your photographer and videographer stay for the first 3-4 songs. That will be plenty of pictures and footage. If you are trying to manage your budget and things are a little tight, one big tip of where you can cut a little time is the reception. You can front-load your formal program with the speeches, special dances and cake cutting. We have even seen brides and grooms do an early send-off before opening up the dance floor. This is a smart way to save on time if you need to. 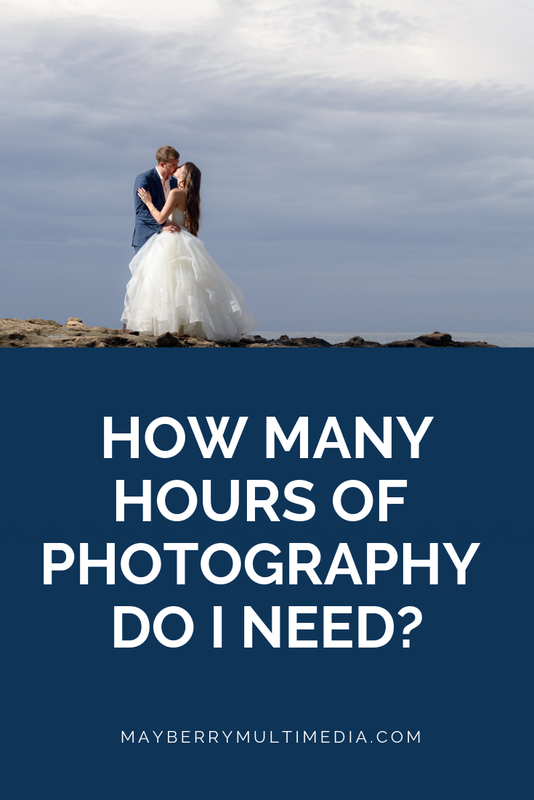 Make sure to ask your photographer and videographer if their time is continuous. This is particularly important if there are breaks in the wedding day, especially between the ceremony and reception. If multiple locations are involved, also check if their services include the travel time between venues, and look for any hidden travel fees. We hope this helps you maximize your photography and videography. Remember to give yourself enough time in the day. These are the memories from your wedding day after all!